Charting the route for a finance product, targeting the middle class and developing a retail and channel partner network calls for finely tuned strategy and careful market planning. Samsika strategised the branding, positioning and pricing for K-value to capture the market. Membership of Kotak Mahindra K-value has grown at a steady 334% per month. K-value is in a position to finance a range of top brands and has a wide dealer network. Swinging a brand's fortunes is never easy. 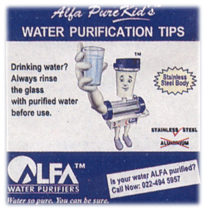 Samsika did it for Alfa Water Purifiers by repositioning the brand and developing a kid-oriented strategy. Drawing attention to the stainless steel advantage against the competition's aluminum, Samsika selected the ad agency, briefed them about a mnemonic - the Alfa Purekid, who appears on TV, and gives water purification tips in the press and through real life appearances. The outcome was that Alfa has the second largest market share, moving up from 6% to 11% and registering a 66% growth. In a segment fraught with brand wars, Samsika suggested that Kamani Oil Industries focus primarily on its range of oils with one umbrella brand covering the entire range. 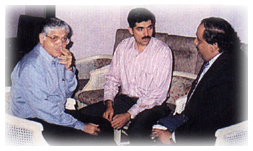 The problem was that Kamani's products were commodities. 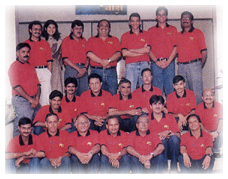 Samsika's objective was to elevate each of them to a brand. 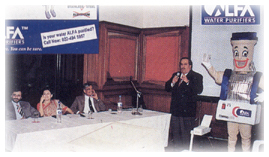 "Kamani Parivar, Sehat Ka Sansar" was the brand positioning statement. The result was that the brand grew by 68% and increased its distribution. 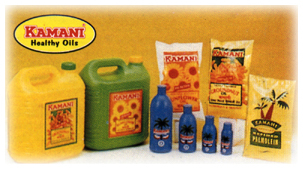 Kamani has made its presence felt significantly in the branded oil market and is poised for greater heights. M/s Shrirang Kisanlal Sarda wanted to launch a "young urban bidi brand". Samsika's job was to decide the name, the blend and work out a launch strategy. An in-depth consumer survey revealed that there was a definite slot for a 'strong' brand - asli mard ke liye. The name Samsika proposed was Mister Kadak Bidi along with the brand positioning statement "Kadak Hai Dum, Mard Hai Hum". This resulted in 62% associating the brand with strength. Samsika whipped up a lather with the sales team, training them in the use of sales kits, merchandising and the art of convincing retailers. Just 5 months later, distribution width is 74% with a repeat of 21% and a cost-effective Samsika-recommended ad campaign is working well.